Works great with Kodi. Thank you! Thanks for usefull app! 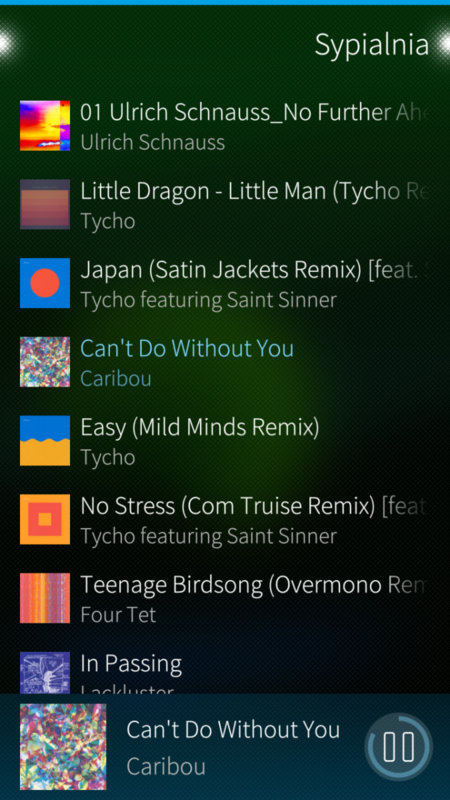 I can confirm it works great with windows version of foobar2000 + plugins, can be controlled by Jolla. And please include slovenian (sl_SI) translation, its finished on transifex. Info => Slovenian translation is included in the recent 2.2.2 release. Thank you for your contibution. I've just tried the app on an Xperis XA2 with a Samsung C6800, which is about 8 years old. Streaming a video works nicely, but audio (microphone and capture) incurs a lag of about 1 minute. Playing music files directly doesn't work for me, maybe because transcoding would be required. So, thanks for this nice app. Maybe these issues can be solved. Thank you for reporting it. Definitely I can look in to log to find were the issue is. This 1 munute lag is far to much, it should be not more that 10 seconds. I'm suspecting that your device for unknown reason tries to buffer the stream. Please add Chinese translation . Would it be possible to stream all audio output from phone to upnp/dlna devices? I heard this was possible on some android app so I thought to ask if it'd be possible for this app too. It would be nice to be able to stream music from Spotify to my speaker system wirelessly, for example. Yes, I belive it is possible. For example pulseaudio-dlna do such things for a desktop and SFOS uses pulse audio server as well. I'm investigating how to port or implement similar functionality in Jupii. Any news on the matter? I'm a bit eager to have this feature. 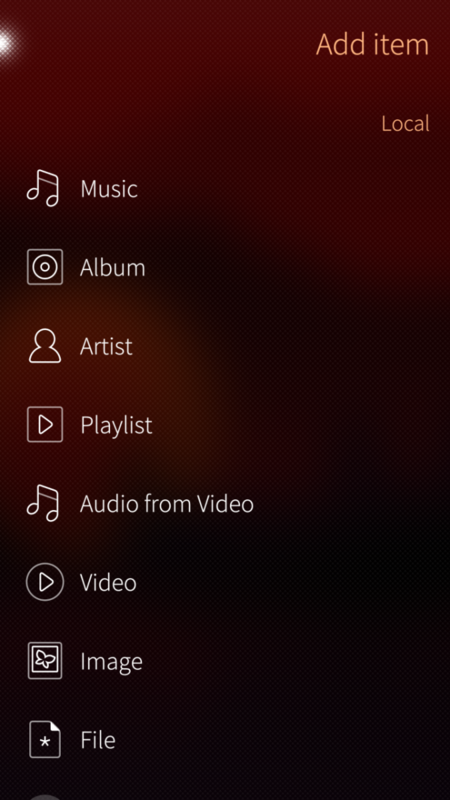 Quite nice though a bit annoying that it doesn't mute phone speakers and if volume level on the phone is set to 0%, it will mute the streaming as well, though otherwise volume level doesn't seem to effect the streaming volume. I'm guessing this is already on your bug list. Thank you for your tests. Actually it should be working as you expect it to. When Jupii starts audio capturing, app on the phone should be muted. I've tested it on XperiaX and JollaC. Maybe it is something device-depended? Please check it with only one app opened because sometimes it is a little bit unpredictable from which app audio is captured. I will improve it in the next release. > if volume level on the phone is set to 0%, it will mute the streaming as well, though otherwise volume level doesn't seem to effect the streaming volume. Yes, I'm aware of it. Maybe I will be able to find a solution. You can't imagine how much I love the the new streaming feature. That was one of few reasons I 've kept a rooted android on an old nexus 7 tablet. Thank you so much for this! Sadly, I can reproduce the behaviour described above. I'm about to add an issue with more info, because I think it's the appropriate place to do that. Thank you for letting me know. In the recent update (version 2.1.1) issue should be fixed. It is on my TO-DO list. I promise I'll try to work on it but cannot guarantee any timeline. Thanks for the kind words and for your contibution to Spanish translation! 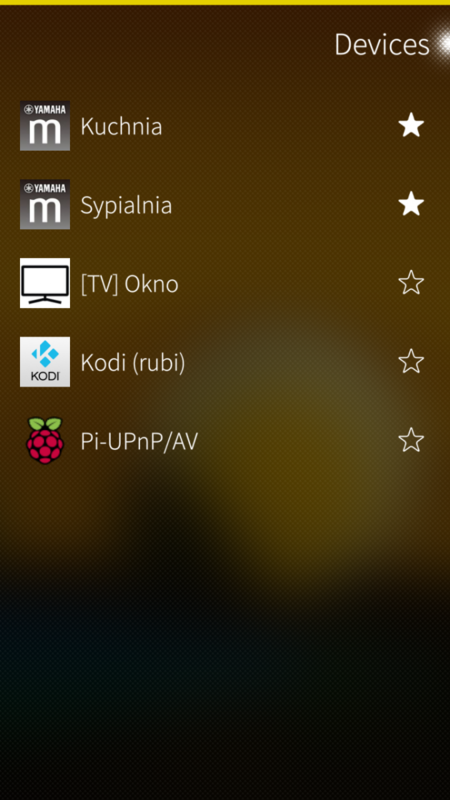 Any plans to add the possibility to stream content on the phone from another device, like a computer running pulseaudio-dlna? The phone could then become a great receiver for headphones (larger music database, movies with properly set audio sync on the player, etc.). I'll try Donnie too, see if it is compatible with pulseaudio-dlna. The scenario you've described is not supported - sorry :-(. Jupii only plays local content on the remote UPnP devices like Smart speaker or TV - not the opposite way. Actually, I'm investigating pulseaudio-dlna project right but for different use case i.e. not for receiving stream but for sending pa-dlna stream directly from Sailfish device to other UPnP media renderer. The app stopped working again, maybe the terminal output is useful? Tried the app again, and to my surprise it worked like a charm, the only problem is that with most of the videos the 360 tells me format is not supported (while mp4 should be) is this something that can be solved or is just an error xbox side? Unfortunately i cannot send you any log...jupii does not find my 360 anymore...3 days ago my xbox received an update...maybe is due to that? For device discovery Jupii uses standard UPnP procedure based on SSDP protocol. Maybe support for UPnP was disabled with the latest xbox update? Please try to enable "All devices visibled" and search once again.